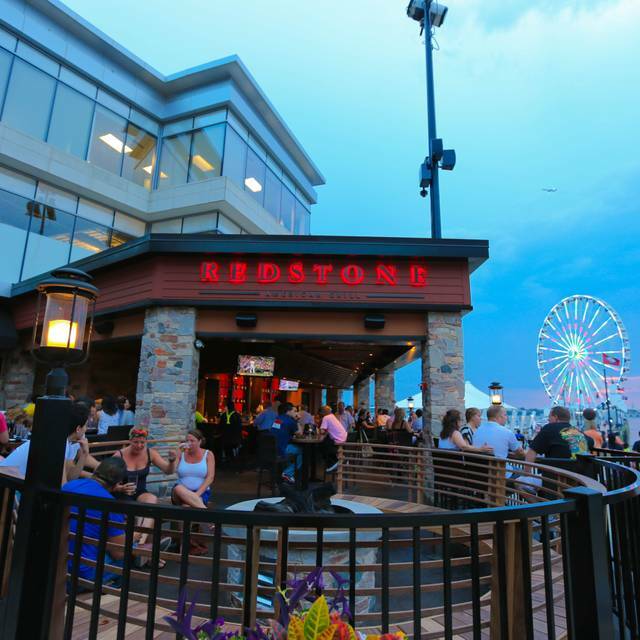 You must make reservations at least 5 minutes in advance of the time at Redstone American Grill - National Harbor. Spirited, Rugged, and Romantic, Redstone is committed to uncompromising food and service. Redstone just never disappoints. 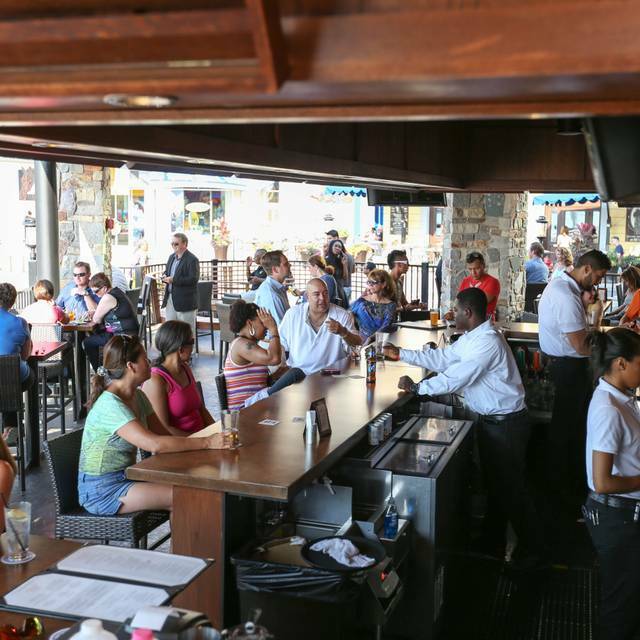 From the homemade prepared food to the amazing views, and the professional staff, this place is always a win! I have eaten at several Redstone restaurants. 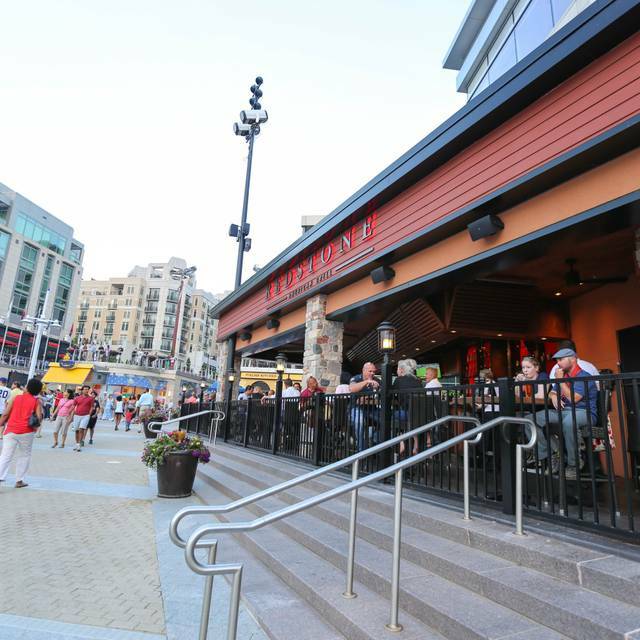 The one at the National Harbor by far was the most disappointing. Service was very poor. No refill on drinks and most of the food was served cold. I ordered the bone in rib-eye steak which was advertised as having the fat "hand trimmed" from it it and they must have forgot. 20% of the steak was fat. To me this steak at some point was frozen and not farm fresh as advertised. Definitely not a $43 steak. We also asked for ketchup for the kids but were told they were out of it. Great location. 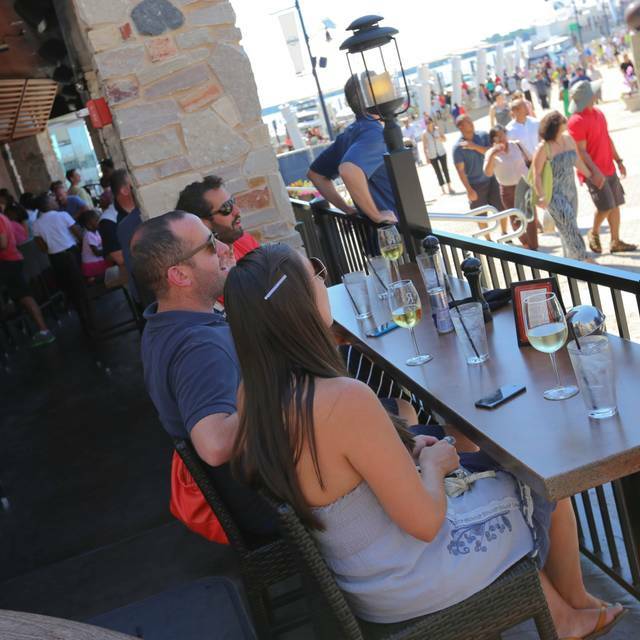 Staff accommodated our request to sit by the water even though Fri night and busy. Every dish ordered was Excellent. The Brussell Sprouts are the best I have had. I made a reservation and even though that evening the wait time was over an hour, we were seated in minutes. Service was great and food was good..awesome view of the harbor. Disappointed that the menu from one state differs from another. 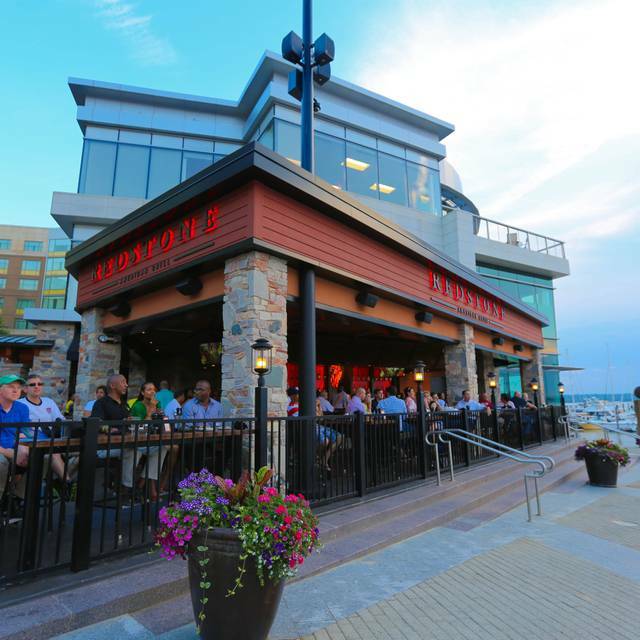 Plymouth Meeting location has beef Wellington and sea bass yet you didn’t have it in the national harbor. Menu on line showed Halibut but wasn’t on the in house menu. Otherwise I enjoy the service and atmosphere. Great place to dine if you like American food. Also, our waiter Anthony was Awesome!! Great old American food. No fancy smanzy! We both had baby back ribs with fries and they were fall off the bone and delicious. The fries were plain old thin fries without any special seasoning or breading. Service was excellent. Attentive without being overbearing. Only complaint was the noise level. Food is way over priced for the low quality. I paid $17 for a small burger that was just ok. This place is too loud. For average food Way over priced and service will not impress you. If you are not happy to serve people you should get another job. The food was amazing- especially the steak, ribs, buffalo shrimp, and cornbread. Our waiter was extremely nice but either new or very uncomfortable. The view is also lovely over the harbor and of the Ferris wheel. The only negative was the hostess did not seem happy to work there and a bit rude. Made me feel iffy right away about coming there. The food is also a bit expensive for what it is but for a special night out it is worth it. Food, service and ambiance were great as usual. My friends visiting from Atlanta loved it and the food. To celebrate my youngest daughter’s 21st birthday, I took her to Redstone. She really enjoyed herself and I’m glad that she did. Food and customer service are always excellent! Excellent view of the water. The umbiance was nice, the table was overlooking the harbor and ferris wheel. Warning one should have been the unprofessional hostess that could not see and served part of our meal. Your definitely paying for the view. The food was overpriced and mediocre!! I had the filet which was tough and overcooked and the broccilini was bland!! The chowder soup was very thick and bland. I ordered the crab dip and most of the chips were crumbs and waited well over 30 minutes for more chips to finish the dip that was now cold and the entrees were on the table by the time the chips came out. The waitress handed my daughter in law the plate of food which was hot and burned her fingers without any warning!! We spoke with the manager no apologies but reassurance the waiter should have placed the food in front of her grateful for the explanation she should have explained to her wait staff!! Drinks ran out on more than one occasion and we waited and waited for more drinks. We were never offered dessert. We observed many of the staff leaning on the walls not doing much. We were not thanked or invited back on the way out of the establishment. My first visit and last visit for the price paid we could have went to another establishment and received superb service and food!! 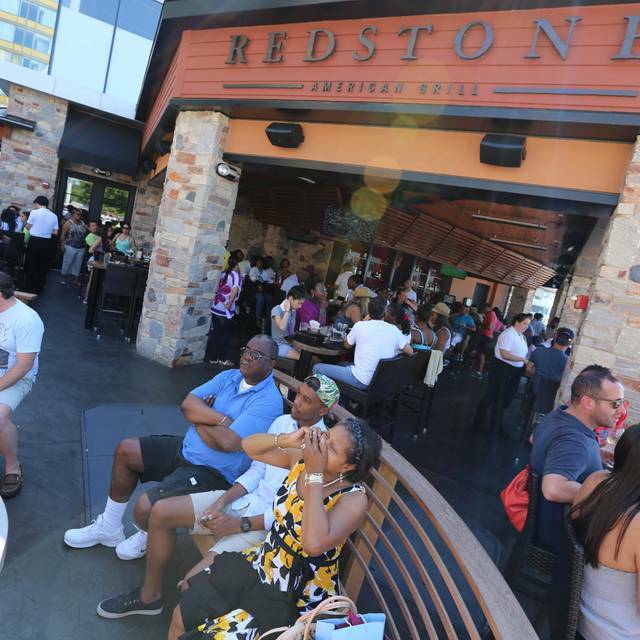 I had dined at Red Stone 3 years ago and it left a great impression with me. So when returning to the area for a convention I said to my friend” she know just the place for dinner. We weren’t disappointed. We had a walk node table to look out at the water we had wonderful service and fantastic food and drink. Amazing service, experience and food! Everyone was super nice and treated us well. Will def be back!! Didn't think the food and atmosphere was worth the price. My steak was $40. It came out lukewarm and overcooked. The manager did make it right, but even after cooked correctly, it wasn't a $40 steak. We also ordered a crap cake, sinc we heard DC was known for their crap cakes. Again, nothing to write home about. We determined you are paying a premium for location, not food. Our server was attentive and polite and checked on us frequently throughout our visit. We ordered the stuffed mahi mahi. The risotto it was served with was slightly overcooked and under seasoned, but the fish and crab stuffing were both cooked and seasoned well. For the price point, you can probably find better in the area, but it was an average meal. 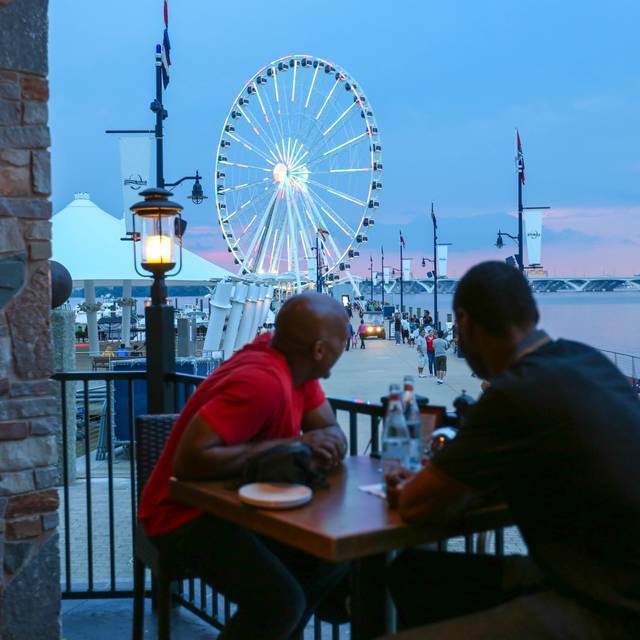 Restaurant has a premier location in National Harbor with direct views of the waterfront and Capitol Wheel. There is a good selection on the menu with competitive pricing. However, the entrees we selected (Crab-stuffed Grilled Mahi-Mahi and Roasted Prime Rib) were both under-seasoned and did not impress. The 'mileage may vary' with other choices. Enjoyed the wine! Went with a small group - had to wait a few minutes to be seated but not bad. Split the cornbread with maple butter and buffalo shrimp for appetizers - both were good - only 5 shrimp but they were jumbo. Had cedar plank salmon, catfish, and steak (filet) as our entries - all with some accompaniments and all were good. Didn’t have dessert. Overall a good selection on the menu, good service, a loud bar atmosphere (especially after Duke lucked out and won by 1 point for in the last few seconds), and nicely prepared food. Took my mom here for her birthday - great time. 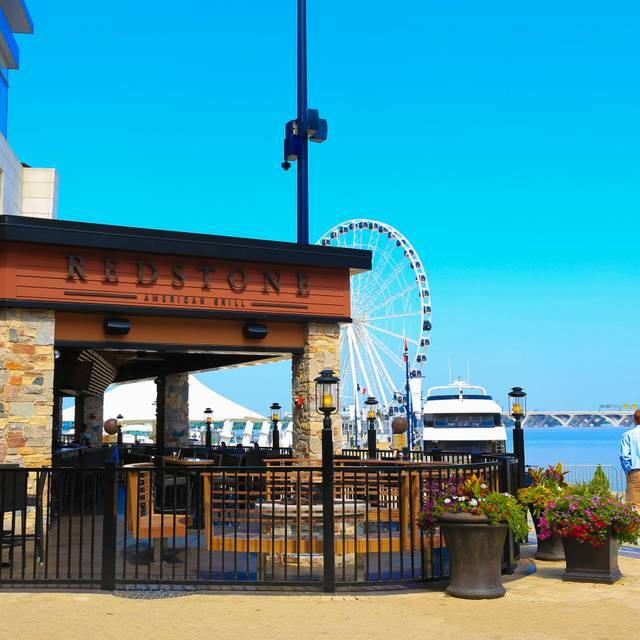 Redstone is my favorite restaurant at National Harbor. Service and food is always great when I visit. Joe was our server and he was very polite and gave excellent customer service! Redstone has become one of my favorite places to visit for dinner. Excellent shrimp appetizer and best cornbread I've ever tasted. We split a full order of ribs and enjoyed every bits. We'll be back. Great view, delicious salad and friendly, helpful waitress. Great view! No birthday specials or dessert offered. Service was very slow, had the wrong menus so we had to change our meal selections, and then what we wanted from the correct menu was not available. Very disappointing meal. The food, when it actually arrived about 1hr after ordering was good. From the start, the service was abysmal. We had trouble getting our drinks. Then had been told our meals would be out soon. Only to wait for what appeared to be forever despite good conversation. I am somewhat local and have been to the national harbor for conferences and holidays several times. There is an upcoming convention I’m attending next week and would not recommend this place. 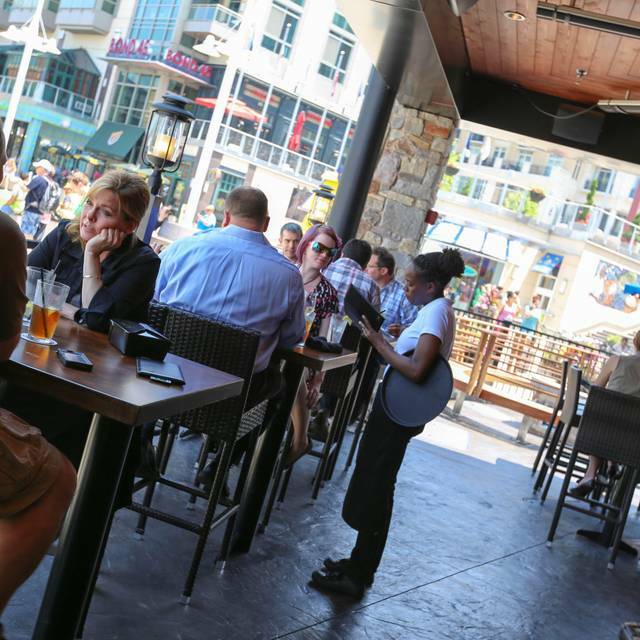 There are too many other good or better restaurants in the national harbor. For exampleI have always had a great time at Graces Mandarin. The food and service were outstanding. Enjoyed the food and service. We will be back! Thanks! The food was excellent. The restaurant was extremely busy, more than I expected for a Thursday evening but they staff kept us informed, got our appetizer out quickly and the food more than made up for it. The staff was friendly and helpful.